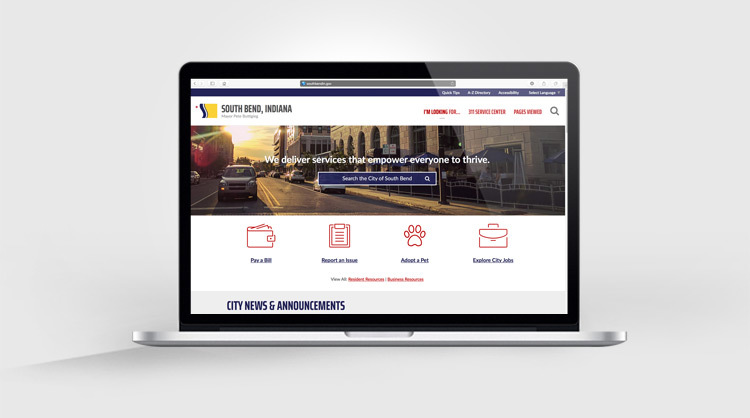 The City of South Bend makes no warranty or representation, express or implied, with respect to the quality, content, accuracy, completeness, currency, freedom from computer virus, or non-infringement of proprietary rights, of any of the design, information, text, graphics, images, pages, interfaces, links, software, or other materials and items contained in or displayed on this site. All such items and materials are provided on an “as is” basis, and you are fully and solely responsible for your use of them and for any results or consequences of your use. 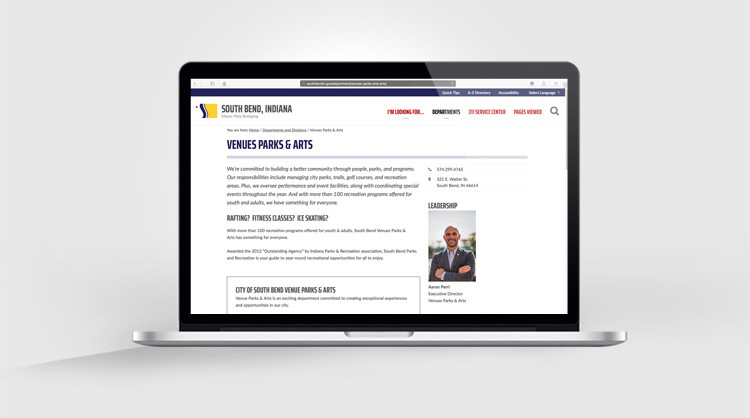 They have been compiled from a variety of sources, including sources beyond the control of the City of South Bend, and are subject to change without notice from the City. Commercial use is prohibited without the prior written permission of the City. In no event shall the City or its agencies, officers, employees, agents, or representatives be liable for any direct, indirect, special, punitive, incidental, exemplary or consequential damages arising your accessing or using the site, or otherwise arising from the site or from anything contained in or displayed on the site. 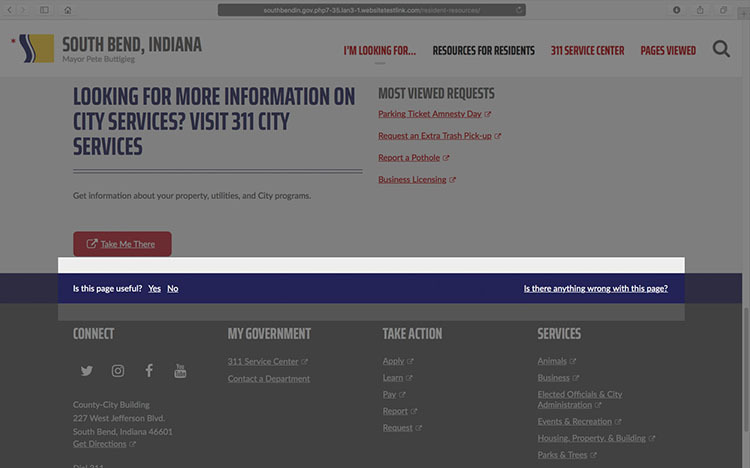 Nothing contained in or displayed on this site constitutes or is intended to constitute legal advice by the City or any of its agencies, officers, employees, agents, attorneys, or representatives. 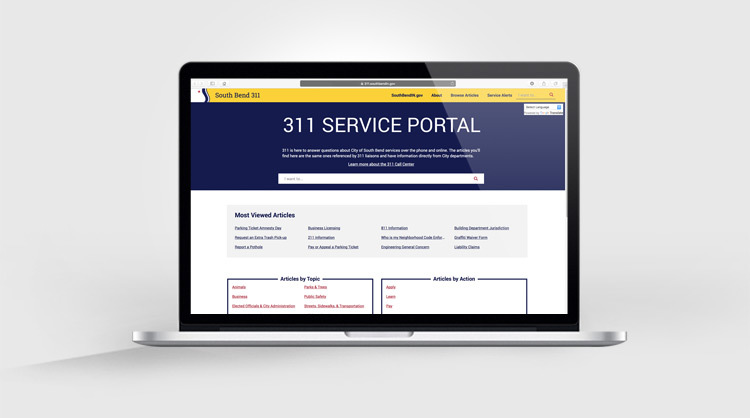 Servicemarks and trademarks contained in or displayed on the site, and the contents of linked sites operated by third parties, are the property of their respective owners. 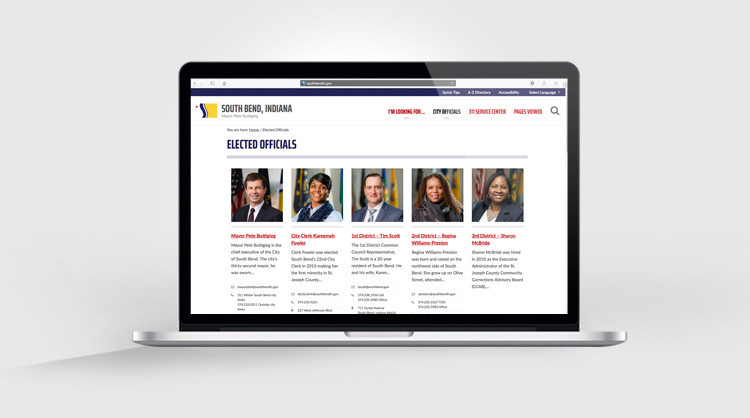 All other design, information, text, graphics, images, pages, interfaces, links, software, and other items and materials contained in or displayed on this site, and the selection and arrangements thereof, are the property of the City of South Bend. All rights are reserved. 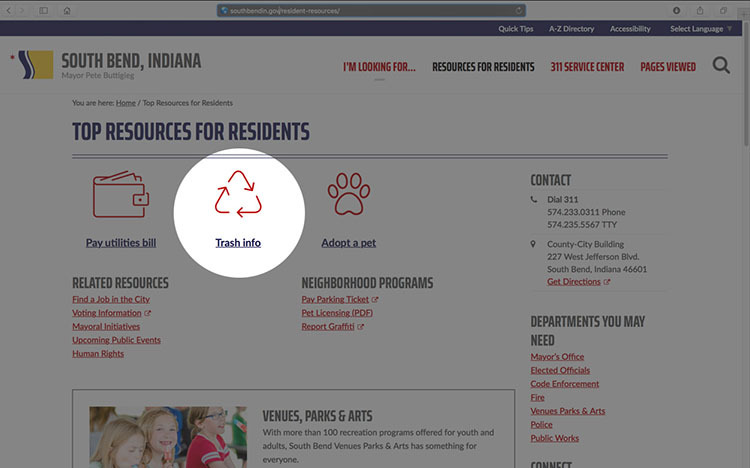 Permission is granted to residents and citizens of the City of South Bend to copy electronically and to print single pages from the site for the sole purpose of sharing information on the site with other citizens and residents, and on the condition that the pages are copied, printed, and shared without cost to the recipients and exactly as presented on the site, without any addition or modification. Distribution, or republication in any other form or for any other purpose, including any commercial purpose or use, and any modification whatsoever, are strictly prohibited without the prior written permission of the City. In no event shall any communication made through this site’s e-mail and messaging functions constitute legal notice to the City, or to any of its agencies, officers, employees, agents, or representatives (including but not limited to legal notice required by federal, state, or local laws, rules, or regulations) with respect to any existing or potential claim or cause of action against the City or any of its agencies, officers, employees, agents, or representatives. 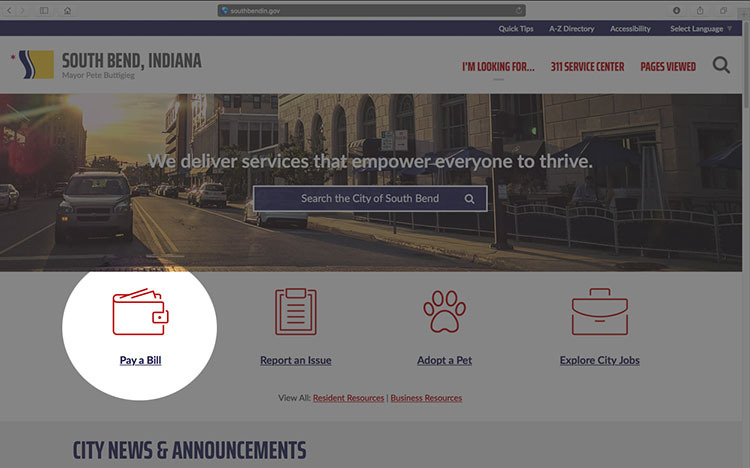 The foregoing terms and conditions and all disputes arising under them shall be governed, construed and decided in accordance with the laws of the City of South Bend. The City reserves the right to revise and otherwise change the foregoing terms and conditions at anytime and without notice.